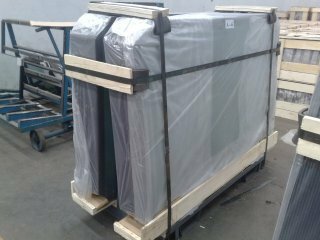 Oneway metal frames for easy handling ! 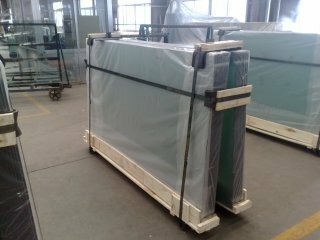 On request we can supply processed glass packed on metal 1-way frames. This results in easy use and safe loading and unpacking off the glasses. After cutting the metal straps, you can immediateley start using these glasses directly from the frames. 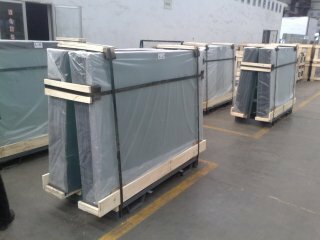 Per frame we can load, depending on the situation and the wishes of the client between 1500 and 2000 kg of glasses.